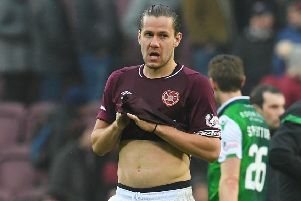 A Hearts fan’s petition against the schedule of the Betfred Cup semi-finals has attracted more than 11,000 signatures. It comes as anger continues to mount over the decision to play both semi-finals on the same day in the same stadium. The SPFL opted last week, with the advice of Police Scotland, to schedule the Aberdeen v Rangers tie for 12pm and Hearts v Celtic for 7.45pm, provoking fury among fans of both the Jambos and the Dons. The Evening News teamed up with the Aberdeen Evening Express on Saturday to call for a fair deal for fans. The so-called “Super Sunday” decision was condemned by both Aberdeen and Hearts, the clubs releasing their own statements criticising the scheduling. Aberdeen called it “appalling” and “inappropriate”, while Hearts owner Ann Budge said the club had “serious concerns” regarding the decision. The petition was started on change.org on Thursday evening calling for one of the fixtures to be moved to another venue or be played on another date. It also demanded the removal of the SPFL chief executive Neil Doncaster.